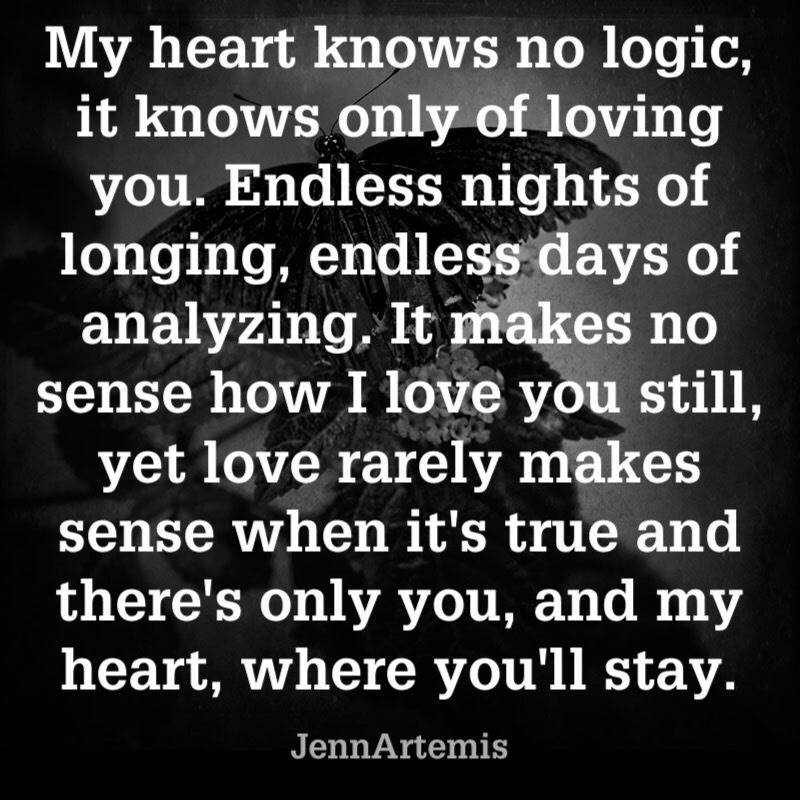 My heart knows no logic, it knows only of loving you. Endless nights of longing, endless days of analyzing. It makes no sense how I love you still, yet love rarely makes sense when it’s true and there’s only you, and my heart, where you’ll stay.